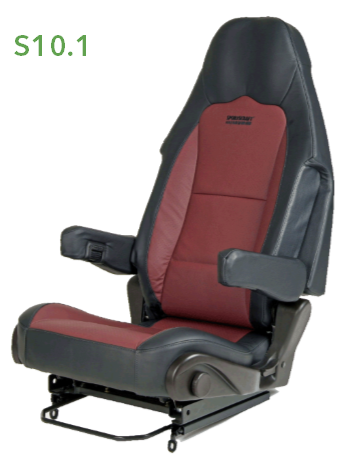 A range of replacement captain seats to suit various European vehicles (see list of adapters available). 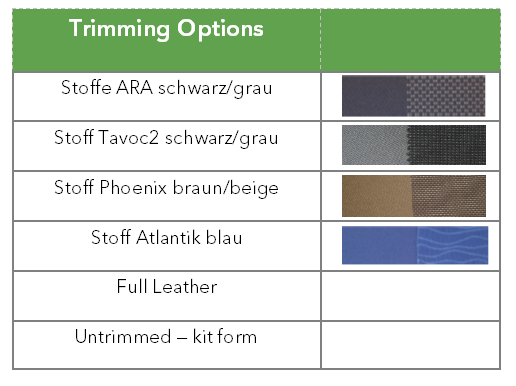 Approved to EC standards with optional adjustable armrests and lumbar support. 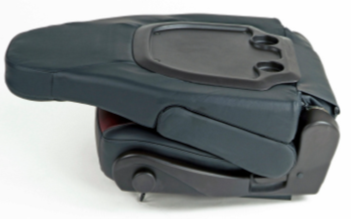 S5.1 and S9.1 are the high back/integrated headrest option. Similar in design and appearance the S5.1 has a flat, long base and the S9.1 has more bolster/side support for a sportier feel. S6.1 and S8.1 have separate headrests for the classic captain seat look. Similar in design and appearance the S6.1 has a flat, long base and the S8.1 has more bolster/side support for a sportier feel. S10.1 has an innovative design that allows the adjustable armrests to tuck into the backrest of the seat. This then allows the backrest to lay flat forward. The S10.1 benefits from front tilt adjustment.